How can you prevent hospitalizations? Here’s one way backed by research. Who here really doesn’t like being in the hospital? That’s most of us. No one likes those strange smells, beeps, IV drip, cold rooms and lying in a bed that isn’t yours all day? And on top of all it, you have the medical bills. Even if you have Medicare or insurance, they can completely wipe out your savings. What’s your plan to stay out of the hospital as much as possible as an active older adult? You already get the recommended exercise. You eat a healthy diet and regularly visit your doctor. Here’s one more thing to that stay-healthy list. Studies show that getting your hearing loss treated may be one of the best ways to reduce hospitalizations. A newly-released study published in the Journal of the American Medical Association (JAMA) shows that within just 10 years of developing noise-induced hearing loss, the average person will be in the hospital 50% more than their peers without hearing loss or who got it treated. They’ll spend over $22,000 more out-of-pocket on medical bills. That’s 46% more. 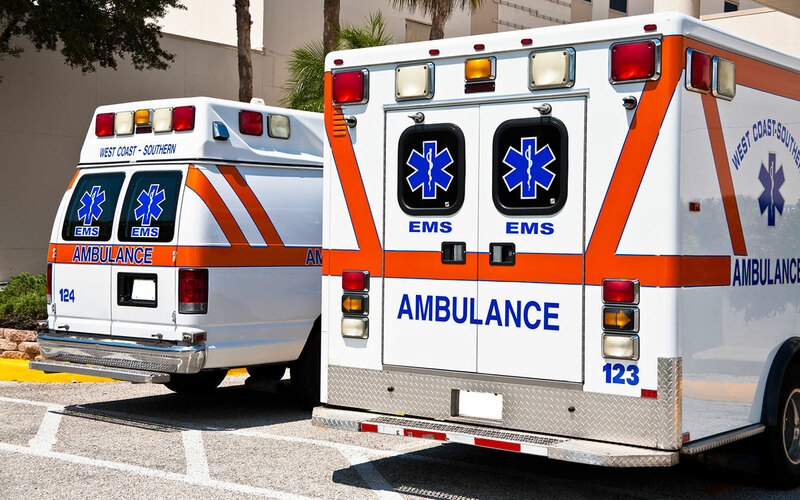 They’re 44% more likely to be readmitted within 30 days and have 17% more trips to the ER. Coincidentally, the average person waits nearly 10 years after they need hearing aids to get their first pair. That’s 10 years of spending extra time in the hospital that was largely avoidable. How can untreated hearing loss possibly contribute to all this? Let’s break it down. Several supporting studies explain this surprising connection. People with hearing loss who do not wear their hearing aids are less likely to keep regular appointments with their doctor. Regular checkups are important for monitoring the progression of chronic diseases like heart disease, diabetes or arthritis. Unmanaged, these can land a person in the hospital. Hearing aids improve mental clarity in addition to hearing so it’s easier to remember appointment and make sure you can get to your appointments. According to Johns Hopkins research, middle age people (40-69) are 300% more likely to have a serious fall if they have untreated hearing loss. For most people with noise-induced hearing loss, this age range includes those 10 years too long that they waited to get hearing aids. An inability to hear impacts your awareness of your surroundings. It’s easier for someone or something to startle you. On top of that, balance is managed in the inner ear. When you can’t hear, you also feel off-balance. Those who need hearing aids but don’t wear them suffer from depression at a rate of 2X that of a hearing person and have similar risks of anxiety. You might not think of depression or anxiety as leading to many hospitalizations. But mental health conditions like these impact a person’s ability to care for themselves. This does lead to more time spent in the hospital. Several studies support a connection between untreated hearing loss and cognitive decline. One such study showed a 24% increased risk of decline and dementia. Researchers believe that the loss of hearing leads to reduced mental stimulation. Like so many other things, the mind is a use it or lose it part of your life. The brain begins to shut down if you’re not using it to its full capacity. Similar to depression and anxiety, dementia and reduced cognitive abilities make it harder for a person to care for themselves. They’re more likely to end up in the hospital. But there’s good news. Another study showed that once hearing is restored, about 80% of people with severe cognitive decline improve significantly within one year. In effect, treating the hearing reversed the mental decline. Other studies show that hearing aids can slow dementia progression by 75%. Those who need hearing aids but don’t wear them are 24% more likely to become socially isolated. Because of the hearing impairment, it takes a lot of willpower to stay active with friends and family. Simple human interactions completely drain you. Social isolation wreaks havoc on body and mind. The silver lining in all of this is that wearing your hearing aids can reduce your risk of hospitalizations as well as protect against conditions linked to hearing loss. Hearing aids help you stay active and healthy. They keep you connected with friends and family. You’ll feel better mentally and physically when you’re hearing at your best.